Castlemaine beekeeper and Australia Honey Bee Industry Council chairman, Peter McDonald. 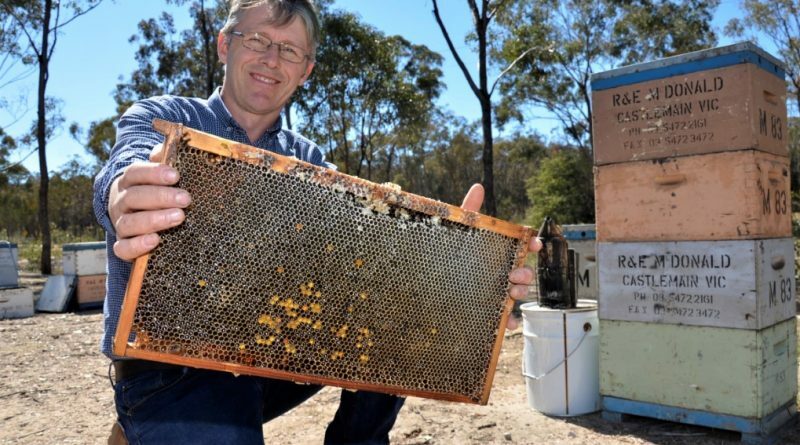 Buying honey from local beekeepers and reading the label are both good ways to ensure you’ll get pure honey, local beekeeper Peter McDonald says ahead of this Sunday’s beekeeping field day at Harcourt. The adulteration of honey has made national news headlines in recent days following a study by Macquarie University researchers that found a significant portion of imported honey – and 18 per cent of the 38 Aussie samples tested – contained other non-honey substances. But Peter McDonald, whose family has been keeping bees over many generations, says people should have a high degree of confidence that their Aussie honey is pure if the label says it is. “If it says it’s 100 per cent pure Australian honey then it should be what’s on the label,” he says. He believes it may even be possible that the 18 per cent of the 38 Australian samples tested and found to contain other substances may have been the inadvertent result of beekeepers feeding bees other sweet substances to prevent them starving through current dry conditions. With national media outlets buzzing over the not-so-sweet issue, Mr McDonald was interviewed on ABC TV’s 7.30 program last week in his capacity as chairman of the Australia Honey Bee Industry Council, a peak body for the industry. The local beekeeper says buying close to the source, buying from local trusted beekeepers or simply reading labels to ensure you are buying pure Aussie honey should all be reliable ways to get what you expect. And right now the local bee keeper is preparing to officially open at this Sunday’s 39th Beekeeping Field Day which will take place at Harcourt Leisure Centre. The Bendigo Branch of the Victorian Apiarists Association is running the popular field day with the aim of promoting beekeeping skills with guest speakers and a wide range of beekeeping demonstrations among the attractions. 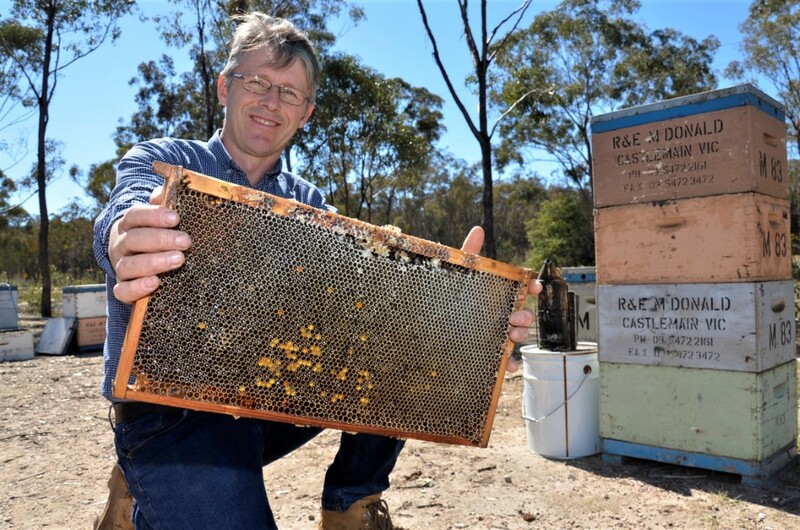 “It allows for people to share information, it allows the beekeepers to come together and it allows good beekeeping practices to be communicated to everybody,” Mr McDonald says. He says the hands-on demonstrations are a particularly valuable way of obtaining valuable beekeeping knowledge. ← Don’t panic, call a beekeeper! 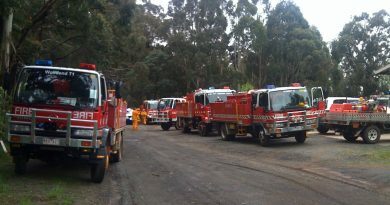 Local brigades will be conducting their first large exercise for the fire season in the Cobaw Ranges on Sunday. 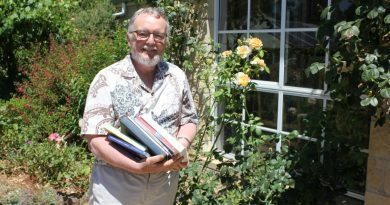 Dr Charles Sherlock has been named a Member of the Order of Australia for his significant service to the Anglican Church of Australia, and to theological education. 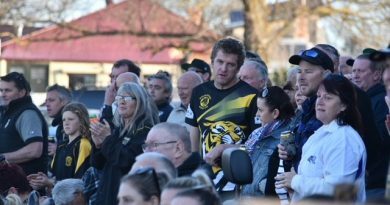 Kyneton Football Netball Club is a club of loyal volunteers, dedicated sponsors, members, players and parents.